Summer is here and there’s some great entertainment coming to the Outer Banks thanks to Phil Foreman of Brew Thru. Teaming up with the Roanoke Island Festival Park, he has created the Brew Thru Summer Concert Series. 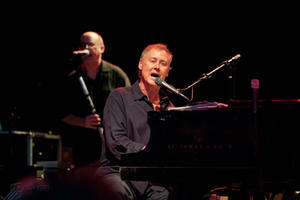 First up this Thursday, Jun 26-Bruce Hornsby and the Noisemakers, and touring with Hornsby, the Pat McGee Band will also be on stage. That’s followed by Live on July 10 and the Gin Blossoms with the Spin Doctors on July 17. Tickets are $35, which is a very good price for entertainment for this caliber. One of the nicer aspects of these shows, and something Foreman wanted to create, is the performers are type that the whole family can enjoy. It’s all festival seating, if that even applies to an open green area under the stars. All of the performances are at the Outdoor Pavilion, which is an absolutely beautiful setting for a live performance. They are evening performances, which means things will have cooled down from the heat of the day. For more information call Roanoke Island Festival Park at (252) 475-1500 or visit them on line. Previous Previous post: Outer Banks Baseball is Back!